The name Jonatan Liljedahl aka Kymatica is no stranger to those producing music on an iOS device. 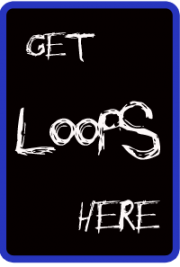 He has produced several well known MUST HAVE apps for audio production. To see a list of his work visit http://kymatica.com/Software/Software. I was pleased to find out about his latest app AUM. 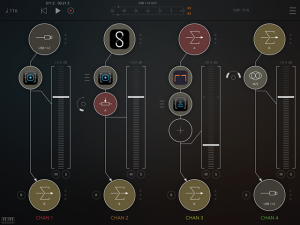 AUM by Kymatica is a full-featured mixing desk for the iPad. Channel input sources can be other audio apps (including Audio Units), hardware inputs, or audio busses internal to AUM. These busses unleash the full power of AUM. With AUM multiple channels are assignable to other channels for additional processing including pre/post fader, sends, busses, and more. In addition to sends, you can set levels and add effects to each channel. AUM has extensive MIDI CC support so you can connect an external controller and run AUM in the background. What’s more AUM supports higher audio rates, multiple hardware inputs and outputs, and fantastic IAA and AU handling. 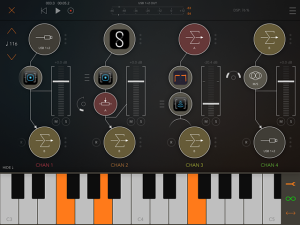 There is also tempo and transport control as well as a convenient built in piano keyboard to use as a master controller without leaving the app.